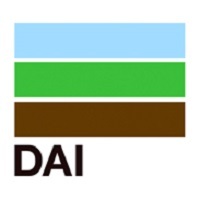 DAI is seeking a Chief of Party (COP) for the Tanzania Feed the Future Advance Youth Activity (AYA). The purpose of AYA is to use positive youth development approaches to empower rural Tanzanian youth and educate them on viable business options for rural economies, highlighting the income-generating potential across agricultural and other rural value chains and facilitating access to information, skills, and opportunities to ensure successful business start-ups and sustained employment. Based in Iringa, Tanzania, the COP provides overall technical and administrative leadership and expertise to the program and serves as the primary liaison with USAID/Tanzania on management and technical matters. The COP will provide strategic leadership to design and lead efforts to integrate push-pull activities for the project. • Ensure compliance with local labor laws, USAID policies, and DAI policies and procedures. • At least a bachelor’s degree in a relevant academic field.